Hi - I have applied for HNSC (H1B - Non Subject To CAP) and the application is pending with my Company for review before it gets submitted to USCIS. This application is submitted in Regular Mode, so I believe it will take many months to know the response from USCIS. Therefore, due to some urgency to travel to USA, I was thinking to apply Tourist Visa also as that will be quick. My question is, will I be able to start Tourist Visa processing meanwhile when the H1B application is still in progress? Basically two applications will be submitted with USCIS - one will be my Tourist Visa and another will be HNSC. Will there be a problem? Will USCIS reject if there are two applications? Can apply for a tourist visa at ANY time; handled by DoS. Has nothing to do with an H1b petition; handled by USCIS. Urgency for a tourist visa comes off as fishy. Noah has a point. You can try and presents your facts in front of the CO and see if he or she buys it. IMO, B1/B2 seems like a desperate attempt at this point. And for B1/B2 the CO can simply deny your application on a slightest hint of any such intentions. You should wait for your h1b petition to get approved and then get h1b visa stamped if you already do not have one. 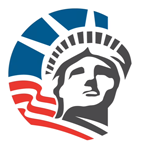 You can ask your employer to file the petition to USCIS in premium if eligible. Your choice. So you want the CO to believe you be granted a B2 visa and you will return to your country with your belongings? Ha and ha! Client meetings eh? When in fact all you would do is COS to an H1b. Client meetings are work. You need the H1 to attend any client meetings. And you need to get paid for meeting with the client. your story is not believable....and now that your H1b was denied, a CO will believe that you will enter the US, immediately start working (somewhere) and never return...client meetings' can be accomplished via video conferencing in today's world...as it is much much cheaper thatn flying someone to the US...oddly, no company seems to do that....at least, not the ones in which B2/B1 applicants are supposedly working for or with...and H1b's are not denied randomly..
Now you mentioned that your husband is still in US. Under what immigration status ? What is wrong ? Well, your intentions are wrong wrt the visa you are seeking. What is the problem ? Well the visa classification you are seeking is wrong. Your husband is in States and you are planning to visit USA under B1/B2 that too with an intentions to meet clients. For your case, h4/F2 or other dependant type is a visa classification. If you want to meet clients, wait for h1b approval. You don't have to convince us.. convince a CO of your intent to exit the US on a B1/b2. What permanent job outside the US? You stated having an HNSC pending. I'm not aware of any applicant with a denied extension, a H1b in the pipeline, and a US-based spouse returning home following a B admission. You're looking at a 214b denial, but no one stops you from trying your luck. gosh, where are your strongest ties? (a) to your husband who is in the US in what status? or (b) some theoretical job that you just started recently..?